Since I’ve reviewed some recent films about pandemics, some less credible than others (whether or not government-created), I thought I’d remind the visitor of the 2002 film from Britain for the FX network by Dan Percival, “Smallpox 2002: Silent Weapon”. The film starts with a lone infected visitor in the New York subway and in three months the world has a shocking epidemic killing millions and destroying the economy. The government tries diluting the vaccine (a trick tried in the early days of H1N1). A few characters are followed, and some, such as a teenage boy who goes to London, come to a tragic end. In the film, the “guilty party” is a loner, not part of Al Qaeda. The film makes a powerful argument for the idea that we ought to renew smallpox vaccinations as routine. The Korean film “Thirst” (“Bakjwi”), directed by Park chan-wook, based loosely on the novel “Therese Raquin” by Emile Zola, at least starts out with a plausible thesis. A new virus has emerged that seems to combine the symptoms of Ebola and smallpox, and is called the “Emmanuel virus”, as if the virus could transmit supernatural abilities, perhaps by carrying bizarre radioactive isotopes. It may have been government designed. A “sincere” priest Sang-hyun (Song-kang ho) volunteers to take an experimental vaccine, and apparently has to be infected with live virus to test the vaccine. He gets sick, but miraculously recovers after a blood transfusion. Then the movie takes a turn that may be silly or profound. What if a virus really did give somebody supernatural powers. In this case, he becomes a vampire. Pretty soon he is a “relationship” with the wife of a childhood friend. Asian “existential” horror films tend to be long and drawn out (like the Japanese horror film “Kairo” or “Pulse”). This one runs well over two hours, but gradually builds on its abstract imagery (many of the clinical scenes are filled with white, and medical devices figure into the vampire scenes). The concluding sunset is quite beautiful, as if the last one the not-so-permanent vampires will ever see. The image of their feet disintegrating in their shoes closes the film. The film really starts out with a warning – the description of the virus (in English) is quite chilling. Then it turns artsy. The official site for Cannes is not too helpful, link here. Don’t confuse this with a (brand new?) documentary film “Thirst” from Alan Snitow and Deborah Kaufman, about water preservation, from Bullfrog films. It’s not on Netflix yet, and I don’t see it yet on imdb. But it has a DVD/book order site. I’ll look into this soon for possible review. I didn’t see it listed in the DC Environmental Film Festival starting now (“Carbon Nation”, March 28, looks important). Picture: Waste from a health care demonstration in Washington DC. YouTube interview with director, by Comic-Con. The Discovery Channel, on Thursday March 11, aired the one-hour special “The Underwear Bomber: The Detroit Bomb Plot”, about the incident with the Northwest Flight 253 landing in Detroit on Christmas Day 2009. The film traces the three-part journey of Umar Farouk Abdulmutallab and examines in detail the security steps that let him slip through. The was on the 600,000 member “Tide” (apparently maintained by the National Counterterrorism Center (NCTC) in McLean VA, which maintains a "national targeting enter" for watch lists) list which can trigger questioning of someone who lands in the US but which did not cause the flight to return to Amsterdam even though his name did not come up until the flight was in the air. Umar had been on this list partly because his father had become concerned and contacted authorities about his extremist activities in Yemen. The watch list, by the way, is much larger than the no-fly list. I actually went to a job fair to consider becoming a TSA screener, in August 2002, after my layoff. I was particularly concerned about the idea of having to do pat-downs. The film gave limited details on how PETN works and how Abdulmutallab was able to hide it. The show maintains that very intrusive pat-down searches by security screeners would have been needed to detect the device, which he tried to prepare in the lavatory 40 minutes before landing. The film dramatized the questioning that Umar would have received in Amsterdam from a screener trained to read body language, a process called "spot profiling". The film interviewed a number of passenger, including Jasper Schuringa (38, an independent film producer who is said to be making another documentary of the incident), who tackled him. Here’s an interesting story about the payoff later to Schuringa, on gawker. The movie also demonstrated, with an experiment, what would have happened if the PETN had detonated. Several passengers including the perpetrator would have died, but the plane would not have been brought down. Discovery also re-aired “The Flight That Fought Back” (2005, dir. Bruce Goodison), about Flight 93 on 9/11. The film maintains that Air Force fighter jets could not have engaged the flight for 28 more minutes after the plane came down, which it says means that the passengers really did prevent a crash into the White House or Capitol. Here's a personal opinion on the "political" significance of the Flight 253 incident. 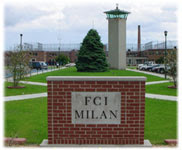 Wikipedia attribution link for picture of Michigan prison where suspect is held. When I saw that the remake (directed by Breck Eisner) of George Romero’s “The Crazies” was accomplished with Participant Media (the distributor is indie-friendly Overture Films, even if the narrative style would fit Screen Gems; the director is ) I presumed there was a political message; I had never seen the 1973 original – I have seen the zombie-fest “Night of the Living Dead”. To its credit, the film has a message, well suited to any state’s libertarian party: the government will do anything it can get away with to cover up its mistakes (that happens in “Cassandra Crossing”, previous post). So if it invents a dangerous virus or toxin and accidentally releases it (here it’s a plane crash, covered up in a river bottom, that could be the Mississippi in the northeast corner of Iowa), and the people go crazy with rabies symptoms, well, you’ll see a heavy-handed G-man presence, with fences, choppers, people in restraints, turning into monsters. At times I thought of “District 9” although this movie is not so artsy; I remembered the panicky pictures of predicted quarantine camps in “The Advocate” in the 1980s. Yes, government will do anything, including nuke its own citizens, and entire town, to contain it; but of course the heroes (played by Timothy Olyphant and Radha Mitchell; the lean and hungry Joe Anderson gives a good performance as a guy who sacrifices himself) could contaminate a larger city, which might have to be taken out later. Pretty soon we will reach a post-apocalyptic world. I last drove through Cedar Rapids in 1998. Anyway, the ending takes the movie into zones like “28 Days Later”. By the way, there is no Pierce County in Iowa. Look at “Save Ogden Marsh” on blogger here and “The Truth about Trixie here. Static pictures (mine): Antimine weapon with microwave disabler at Aberdeen Ordnance museum. MD (it's scary what the government has); H-bomb picture from Smithsonian, American History. There are a number of “older” thrillers in the movies which highlight and somewhat parallel bioterror threats today. Some other thrillers come to mind. One was the 1997 film “The Peacemaker” directed by Mimi Leder, the first film from Dreamworks. A nuclear warhead on a train goes off early in the movie. But one of the corkers was the 1984 film “Red Dawn”, from MGM/UA, directed by John Milius, an “alternate history” genre film where Communists invade the US from south of the border. But the setup is pretty unbelievable, with the opening showing red paratroopers landing in a high school athletic field. A lot of the film is told in back stories, but nothing like this could go on out of sight. 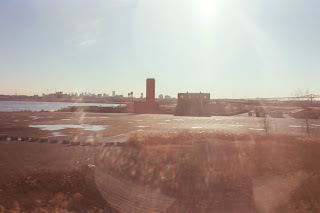 An unpublished novel manuscript from 1988, which I called “Tribunal and Rapture” when I submitted it to an agent, has communists infiltrating the US East Coast (sort of following the WWII scares of history) and attacking a disco club with plutonium dust, foreshadowing the concern since 9/11 about radiological weapons. Something like this really could have happened during the Cold War if the Soviets had played it that way. Their own clumsy bureaucracy may have saved us as much as did Ronald Reagan.